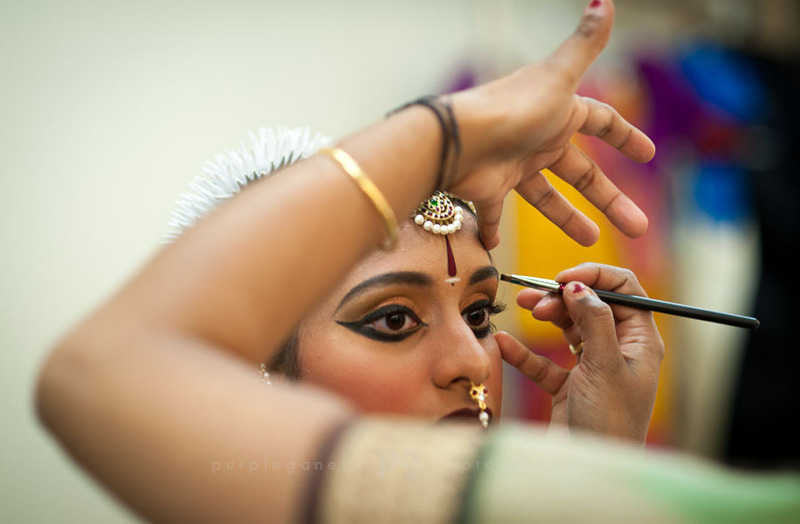 A short selection of 'getting ready" frames from Tanmayi Vashist's Arangetram in Orange County last month. 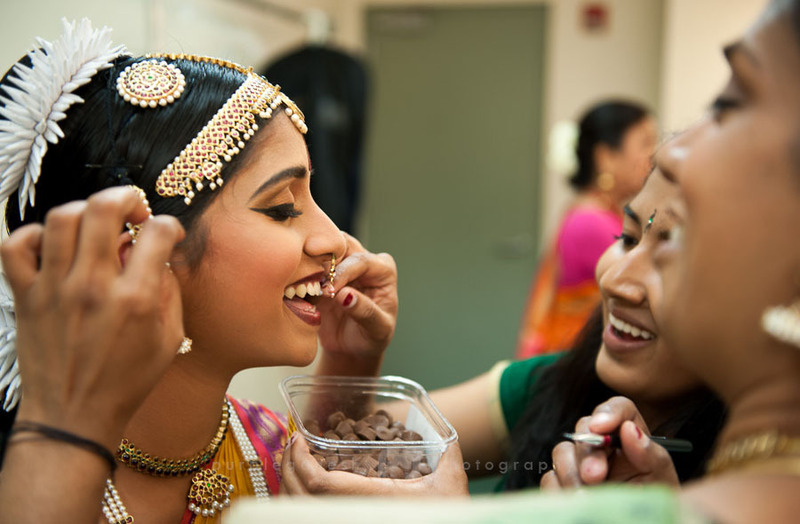 My favorite picture is that of the dancer in full costume sitting stark still in one corner of the room. 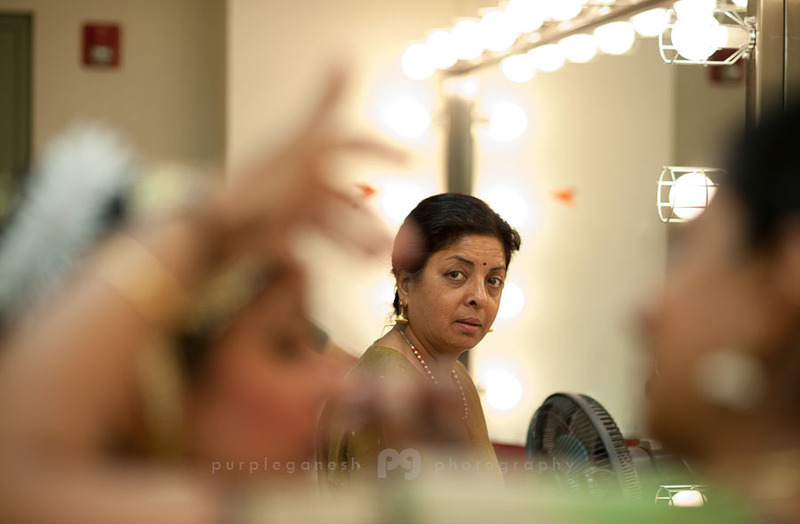 As the veteran teacher in the foreground gets her make-up done with casual ease, barely half hour before the show, the student who will be formally ascending the stage for her first exclusive performance tries to remain calm and focused, her beautiful eyes giving away those tense moments with their blank stare at nothingness. Reminds me of athletes before the start of a decisive race. 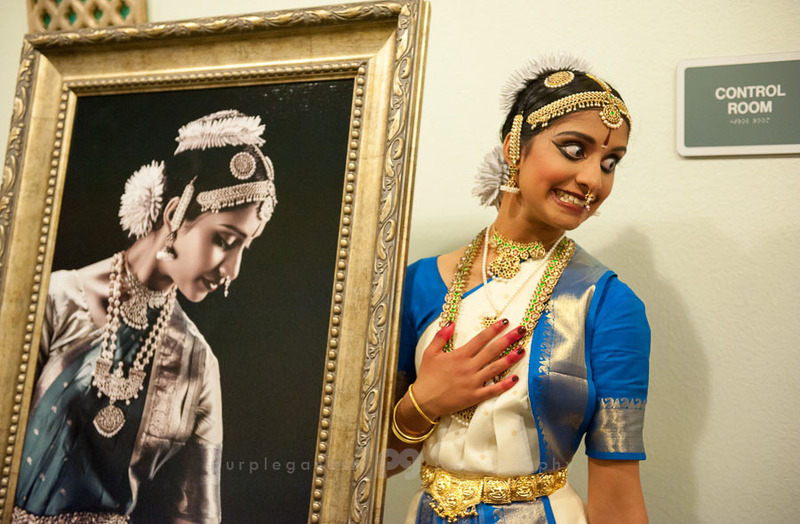 Except, in this case, the dancer is competing with no one except with one's own artistic expectations.